Queries related to building and decorating and whatever else the married dudes are up to, as well as all the repetitive questions about "Where can I find a nice air conditioned apartment in a good location for $75 a month?" The green is the tourist boat area, which is public, the rest is not. So chinese get all that area for 50yrs rent. 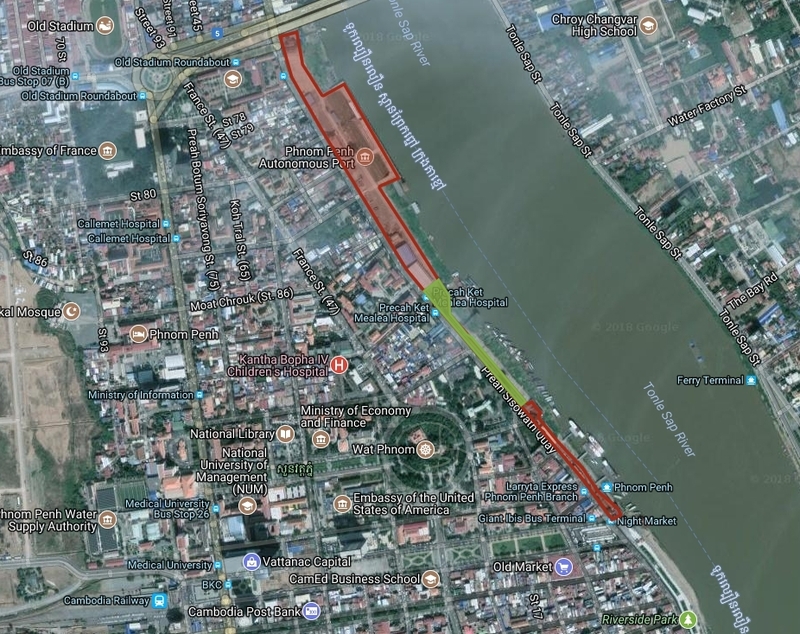 Phnom Penh Autonomous Port on July 19, 2018 released a statement on the decision to rent land along the Tonle Sap from Chroy Changvar Bridge to the Night Market to Chinese companies to develop the site into a multi-purpose commercial center called " The City Gate ". Of course, the lease agreement aims to raise revenue for the government and contribute to city development along the river. Under this agreement, Chien Chung Thai Group will develop this area into a multi-purpose trading hub, including building, office, trade center, arts center, cultural center, arts, courtyard, water fountain, floating market, floating market, garden, harbor park, Public Park, Intelligent Tourism Center, Office of Multicultural Housing, Innovative and multi-storey accommodation, five-star hotel, Exhibition Hall, Aboriginal and cultural centers, Buddhist cults, religious activities and activities as specified by the Office of the Council of Ministers. 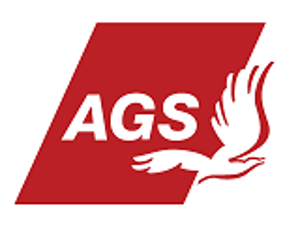 In addition to payroll deductions, the company will also spend its own budget on construction of public infrastructure, including the riverbank from Chroy Changva bridge to the night market, pedestrian routes and roads for small cars, with a total value of about $ 30 million. At the same time, to compensate for the impact of the Phnom Penh Autonomous Port, the company will also build a new $ 11 million administration building and two new multi-purpose terminals valued at $ 30 million. Regarding the details of the project as the investment date, the construction date and the specific format of the project are not yet clear. Why not. If Guangzhou or Shanghai are any indication they'll do a much better job of it than the current eyesore. Even if those "official figures" look like pretty low considering the potential returns. 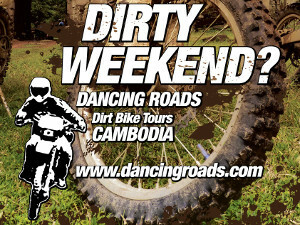 I think it looks like crap and is a crappy deal for Cambodia in many regards. The Chinese probably love it though. The construction equipment is all Chinese too isn't it? "Yuetai Phnom Penh Harbour" is the new name of this project. First phase start from Japanese bridge, expected everything ready 2021.
raendi wrote: "Yuetai Phnom Penh Harbour" is the new name of this project. Great, let's obscure every single view of anything remotely visually pleasing, especially if it includes nature, and replace it with some monstrosity. Wonderful. Mao was right!